Since 1902, The Automobile Association of America has proven itself to the automotive authority in the United States. AAA was the first group to begin offering a service for stranded motorists and has become one of the most valued features of a AAA membership. Another valuable feature is their offering of “AAA-Approved Auto Repair Facilities”. These are the shops that have proven themselves to AAA to be honest, fair, highly knowledgeable and extremely reputable! 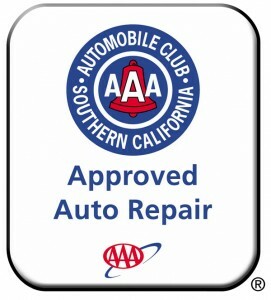 Naturally, Camarillo Car Care is one of these esteemed AAA Approved Auto Repair Shops. We have been AAA Approved for over 30 years with fewer than 5% of all Southern California auto repair shops ever becoming AAA Approved. This is because of the stringent guidelines of AAA. AAA demands that their approved auto repair shops meet these very strict guidelines so that they can feel confident when referring their members here, some of which have been members for decades! In order to stay qualified as an AAA approved shop, AAA requires that we provide them with hundreds of our actual repair orders. They take them and conduct a survey of our customers. Survey participants included AAA members and non-members. The results of their surveys have been very strong year after year. Their latest survey gave us a 100% Customer Satisfaction rating.